Interview done five weeks ago with US newspaper “christian science monitor”published Dec 28 2015. 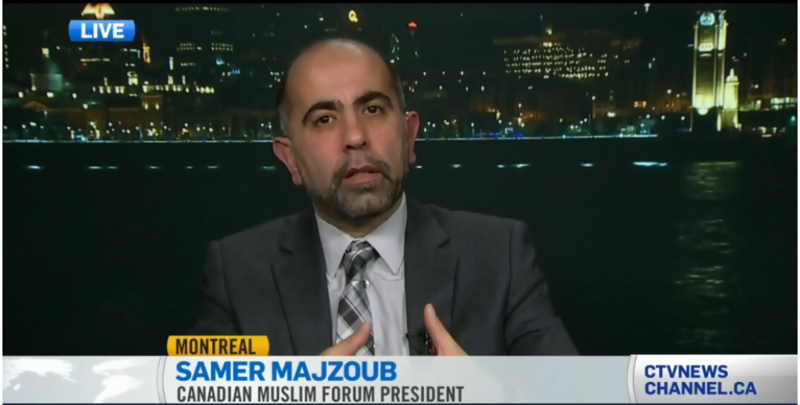 Montreal’s anti-radicalization center is careful to not link Muslims with extremism. Its website only mentions terrorism in passing and references neo-Nazi terrorists and environmentalists who bomb labs in addition to Islamist radicals. “It is important to show this center serves all communities, and doesn’t target any community,” says Mr. Majzoub. He hopes the center will also prevent anti-Muslim extremism, like a recent mosque firebombing. “The police have shown a lot of compassion and understanding. Still, we’re very cautious about the details. This entry was posted in interview and tagged (FMC-CMF), anti-radicalization center, Canada Muslims, Canadian Muslims, Denis Coderre, Forum Musulman Canadien, Herman Okomba-Deparice, Islamphobia, Jocelyn Bélanger, Montreal, Quebec Muslims, Samer Majzoub, violent radicalism by samermajzoub. Bookmark the permalink.